A family owned business for over 50 years. 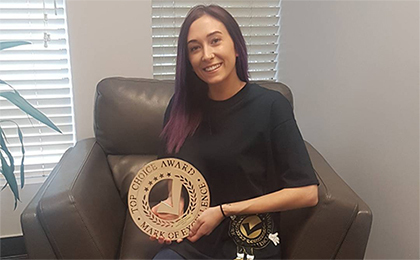 We’re proud to announce that we have received the Top Choice Award again for 2017! We're open when you need us. Ernesto Lamanna, the founder of the company, began Dry Cleaning in 1954. Professional Cleaning, Attention to Detail and Custom Service is the Foundation of his beginnings which set the standard for the company to grow and flourish into the Millennium. In 1990, Rick Lamanna, recognized a need for Custom Textile Cleaning in Vaughan. Having adopted his father’s passion for the business, Rick believed that he could also offer the same professional service and opened his own store in the heart of Woodbridge. In 2009 the Rutherford location was opened and in 2016 the newest addition in King City was opened. Since then, Rick has developed a company that well serves the community based on the same foundation of his father’s original company: Professional Cleaning, Attention to Detail and Custom Service. Whether it be an office meeting, formal dinner or that hot date, North Park will give you the edge on appearance. Services Offered By Vaughan’s Largest Textile Cleaner. For generations North Park has provided quality work at reasonable prices. Our service is second to none. Check out our available services. Sometimes mysterious stains appear on garments after a period of time in storage with no prior knowledge of how they got there in the first place. Also, faint stains may appear worse or invisible stains may show up only after the garment is cleaned. Home/Office Pick Up & Delivery Service. 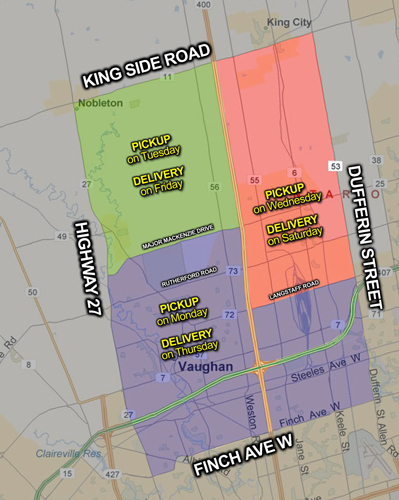 Servicing GTA and York Region Via Our Vaughan, Woodbridge & King City Locations. In just 3 simple steps you will be that much closer to a hassle free delivery service. 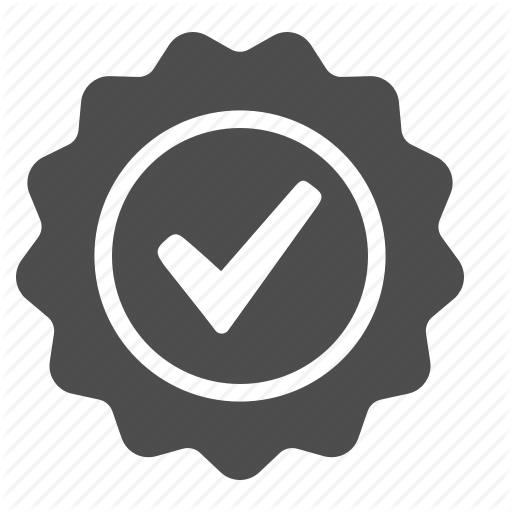 Print and complete the Client Profile and Authorization Form. Proudly Providing Professional Service To The Community Of Vaughan Since 1990. North Park Cleaners is a strong vibrant company whose Textile Cleaning Service is second to none in Vaughan! I invite you to visit us and experience our commitment to service. Let us show you how much we appreciate your valuable business. North Park Cleaners is pleased to show its appreciation by offering valuable coupons. Just when you thought North Park Cleaners’ service couldn’t get any better, we’re offering more savings. We appreciate your business and to show our appreciation, we are offering a “Vicinity Rewards Card.” Every $1 spent you will receive 1 point. Earn 500 points, get $10 off. Earn 1000 points, get $25 off. Don’t forget to ask for your card on your next visit! Sign up to receive discounts, coupons and more! Oh No! You’ve Spilled Something. Unfortunately, mistakes and accidents seem to happen. What you do next is important to your apparel’s survival. Whether you need solutions for stains, advice on special fabrics, expert washing tips or decoding care symbols – North Park Cleaners knows the answers. We are also proud to introduce our new 12,000 square foot facility where we do all the cleaning! © 2003-2017 North Park Cleaners dba CRDN Toronto and GTA | Site by Media 365.